A Russian Foreign Ministry picture shows Russian Foreign Minister Sergei Lavrov (L) and U.S. Secretary of State Mike Pompeo. MOSCOW, Aug. 10 (Xinhua) -- Russian Foreign Minister Sergei Lavrov on Friday told U.S. Secretary of State Mike Pompeo by phone that Russia categorically rejects new U.S. sanctions over alleged Russian involvement in the Skripal case. Lavrov reiterated Russia's position that Moscow played no role in the alleged nerve agent attack on ex-Russian spy Sergei Skripal in the British city of Salisbury, the foreign ministry said. Lavrov stressed that neither the United States, nor Britain, nor any other country have provided a single fact to support their accusations, according to a Russian Foreign Ministry statement. The U.S. State Department said Wednesday that Washington will impose new sanctions on Russia over the alleged poison attack on Skripal and his daughter Yulia in Salisbury in March. Kremlin spokesman Dmitry Peskov has criticized the U.S. decision on new sanctions and Russian Foreign Ministry spokesperson Maria Zakharova said Moscow will consider retaliation. 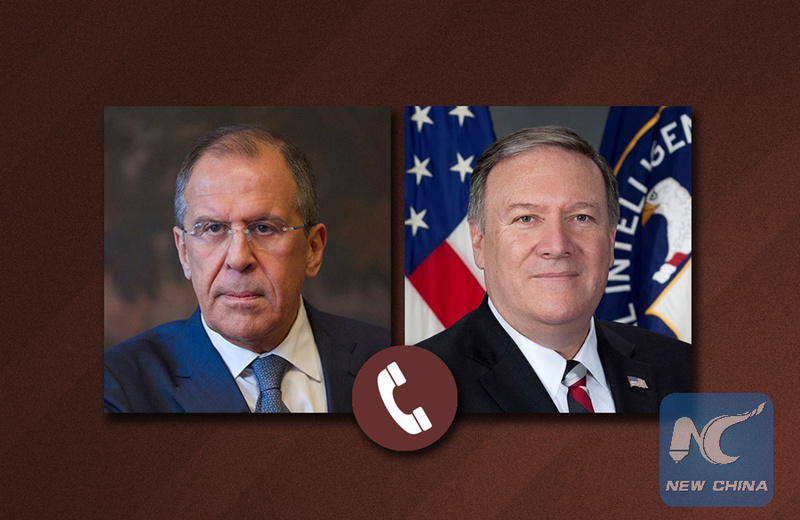 Lavrov and Pompeo also discussed issues on the international agenda, including the situation in Syria, and other topics considered during the meeting of Russian President Vladimir Putin and his U.S. counterpart Donald Trump in Helsinki on July 16. The two top diplomats agreed to maintain contacts on all issues of mutual interest, the statement said, adding that the phone conversation was initiated by the U.S. side.